What Is The Meaning of a "Shruti" ? There are 12 universally identifiable notes ('Swaraprakar' in Sanskrit) in any Octave (Saptak). As we play them from one end on any string, the perception of each of these 12 changes 'only' at 22 points given by nature (See numbers in green in the slide below). The sounds produced at these 22 points are the '22 Shrutis' and the 3 types of distances in-between are called as 'Shrutyantara' (in Sanskrit) (See Legend below). World's only 4 hour Online Course on 22 Shrutis ! Play The 22 Shrutis Yourself !! 1. You may play 2 shrutis together to experience consonance / dissonance. 2. 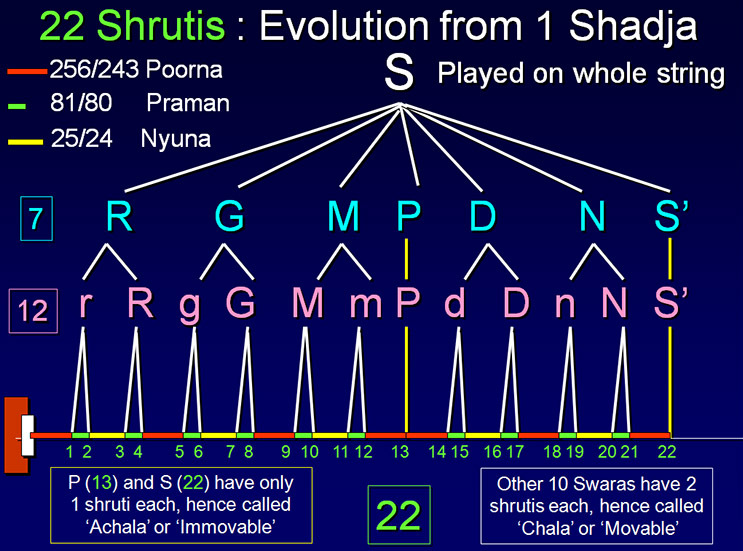 For playing 22 shrutis in all 12 scales, visit "Hear the shrutis" section. Difference between Nada and Shruti. Raag Todi and Multani on 22 Shruti Harmonium. 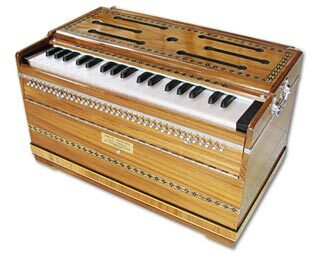 Raag Pooriya and Marwa on 22 Shruti Harmonium. Raag Bhoop and Deshkar on 22 Shruti Harmonium. 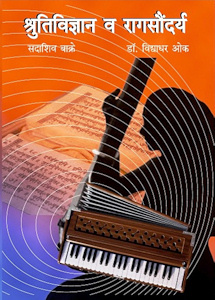 How to play Accordian on 22 Shruti Harmonium. Chords on 22 Shruti Harmonium. 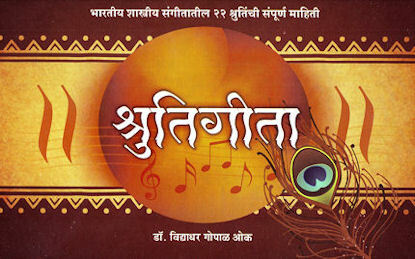 Dr. Vidyadhar Oke on 22 Shrutis and 22 Shruti Harmonium. or call +91 9146204431 to order the book. 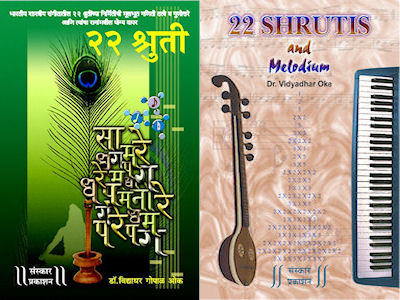 Dr. Vidyadhar Oke on 22 Shrutis. contact rafterpublications@gmail.com to order the book. 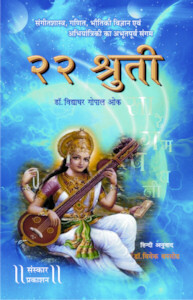 Please visit www.sanskarprakashanmusic.com to order the books. Please visit www.rajhansprakashan.com to order the book. Website inaugurated on the 2nd, 3rd February, 2008 by Achyut Godbole, Dr.N.Rajam and Pt. D.K.Datar.